This was an interesting map designed by Nervous of End. It was a large map with some nice ideas, like a trapdoor, hidden walls, and multiple entrances. 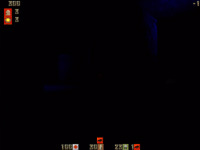 However, the map got too big sometimes, and too dark, mainly in the spider base. Its hard to see with both teams in there. There are some misaligned parts, but they are usually minor things. The door's textures are also messed up. 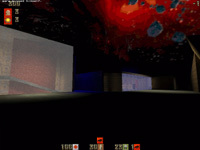 Don't think that this is a crappy map, its only the first release of this map, so it will get better. Comment: Kept with the gloom ambience. Comment: Wide open spaces makes things cheeze, closed spaces make things cheeze. Sound when "hidden" doors open up make them less hidden. Comment: He didnt copy off anyone, a few new things like the trap doors and hidden doors.